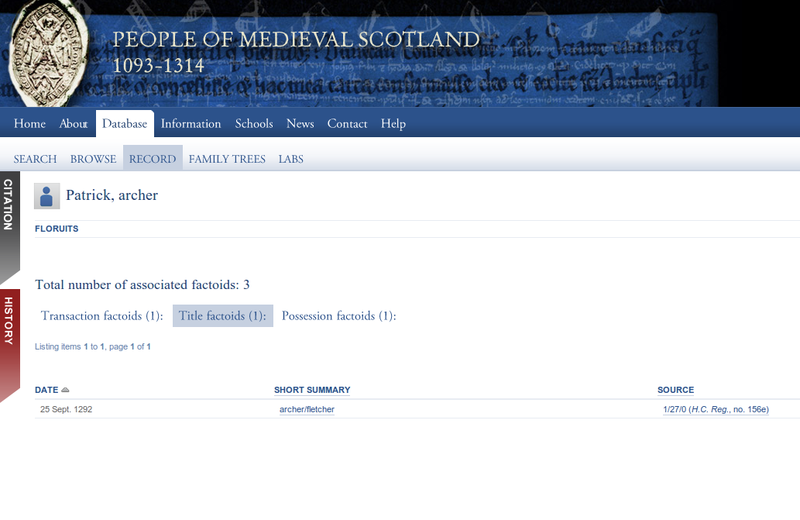 15 results, from Arthur Campbell, knight (father of Arthur) to Thomas Campbell, knight. The names are clickable; doing so takes you to a small preview window. Clicking that takes you to a list of “factoids” where that person is mentioned, divided into tabs. Open the glossary in one tab and have a browse. And I hope you have more luck with the labs than I did.